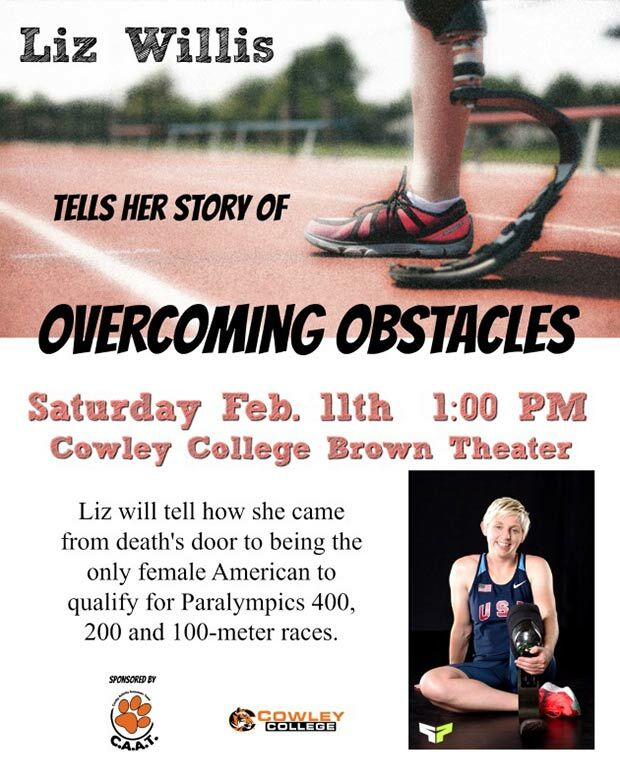 The community is invited to hear Paralympian Liz Willis share her story of Overcoming Obstacles at 1 p.m. Saturday, February 11 in Cowley College’s Robert Brown Theatre. Willis will tell how she came from death’s door to become the only female American to qualify for the Paralympics in the 100, 200, and 400-meter races. There is no charge to attend the event.